New York State Attorney General Andrew Cuomo has uncovered a pension scandal that implicates Republican and Democratic figures in state politics -- and at least one member of the Obama administration. 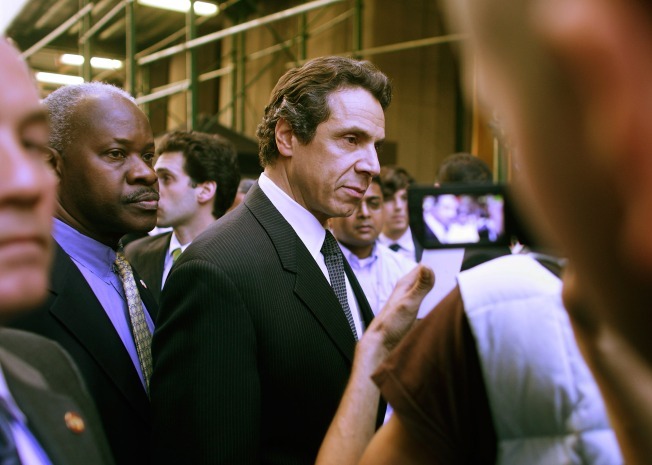 It's been a tough couple of years for New York state politics. One governor resigned because of a prostitution scandal; his successor has historically low popularity figures because of an inabilty to get either spending or higher taxes under control. The always-dysfunctional legislature can't get its act together to prevent a potentially huge public transit fare hike. Just when New Yorkers thought things couldn't get worse -- and Illinois could remain the poster child for public corruption this year -- up steps Attorney General Andrew Cuomo with an explosive charge: Former Comptroller Alan Hevesi allegedly used his power over the state pension funds to help procure a state assembly seat for his son. While neither Hevesi has been indicted -- yet -- several allies of the elder Hevesi were: they include former head of the Liberal Party, Ray Harding (also an ally of former Republican Mayor Rudy Giuliani), Democratic consultant Hank Morris and pension fund manager David Loglisci -- all allegedly got kickbacks for helping steer pension funds toward favored firms. Harding allegedly received an $800,000 "finders fee" helping get an incumbent state Assemblyman to give up his seat, thus allowing the younger Hevesi to get a shot at it (he's still there). To add even more bi-partisan flavor to the story: Harding and Hevesi's chief of staff allegedly worked with aides to former governor once-removed, George Pataki to 1) get the aforementioned former Assemblyman Michael Cohen a nice six-figure job with an insurance firm and 2) have the governor schedule a special election early -- to further enhance the younger Hevesi's chances! Oh, and for good measure, Barack Obama's auto industry rescue czar Steven Rattner is referred to as one of the investment firm executives who met with Hank Morris! Illinois? Rod Blagojevich? New York laughs at your amateurish attempts at selling a U.S. Senate seat! This is how it's done! Pension funds! Bipartisanship! Hundreds of thousands of dollars! And we're talking about a state assembly seat -- not even a federal slot!!! Oh, and actually, I misspoke when I said neither Hevesi had been indicted. Actually, the reason why the former comptroller is "former" is because he had to resign his office (right after he won re-election) for improper use of state transportation in the use of an official car for his wife. At the time, Hevesi seemed a sympathetic figure. No longer. Instead, he's the heart of a scandal that may eventually blow the lid off of generations of Empire State corruption! Take that, Land of Lincoln! !